TapnBuild series has been created by a single indie game developer. * Systematic building and upgrading to challenge your game management skills. 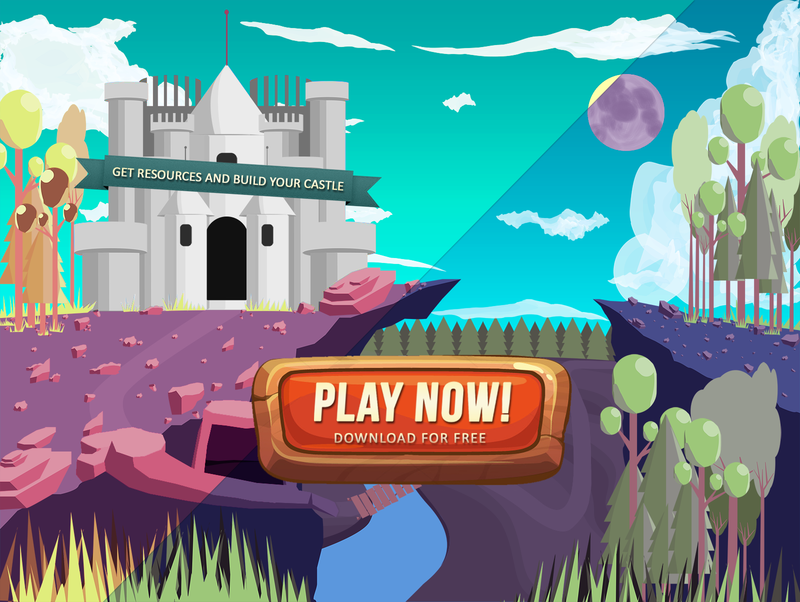 - Tap to Gather resources and use these resources, to Build a Mighty Castle. - Hire workers, who save your fingers and make gathering resources a lot faster. 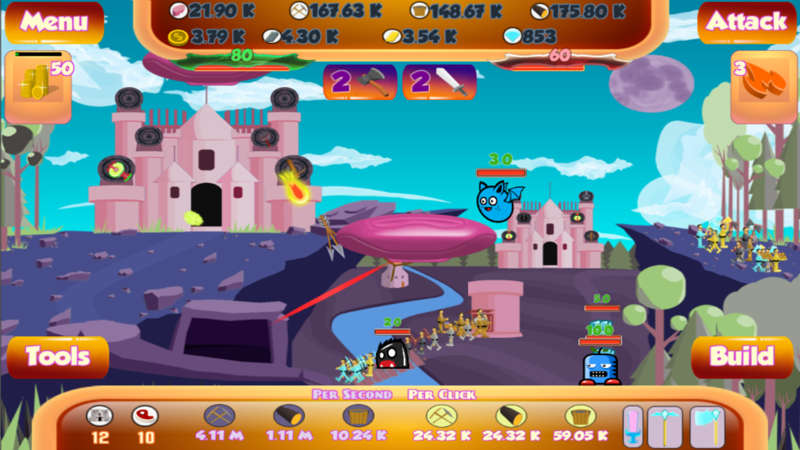 - Build defensive turrets and upgrade them, to defend your kingdom. - Spawn minions and upgrade them to attack your opponent and make you victorious. Choose between many different turrets in this cartoony looking adventure, to defend your newly built Castle in this idle tower defense adventure. All turrets have 2 unique upgrade Branches. Compare your Tapping, clicker and idle skills with your friends and other people. You are building your Castle side-by-side with your opponent. So Tap-Fast and defend your Castle. Tap faster than your opponent, to makes sure all the trump cards are in your hand. Just make sure you never go full clicker. Keep an eye out, what your opponent is doing. 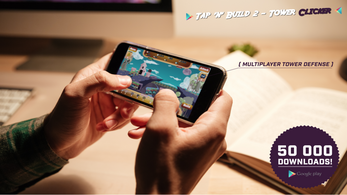 TapnBuild 2 - Tower Clicker is an Idle clicker tower defense game. You combine your tapping and strategy skills, to become victorious. Cave / mine yields mineable resources. Forest / trees on the right let's you chop wood. River / water source splashes water at you. After buying more advanced tools, you are also able to gather :stone, iron, gold and eventually diamonds. hire workers from the Build menu. Worker provides a certain amount of resource each second. Building the castle is not as easy as just tap and build, tap and build. 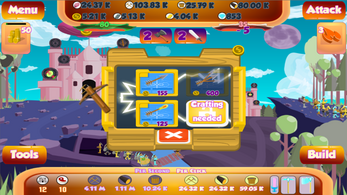 Each level of castle built, unlocks ability to buy more advanced tools and unlocks more building and hiring options. Build Castle, and Turret Bases, to add Turrets. All turrets have their strengths and weaknesses. After building your first level of Castle, you are able to attack your opponents by sending waves of minions at them.There are tons of different minions to be unlocked, by leveling up. 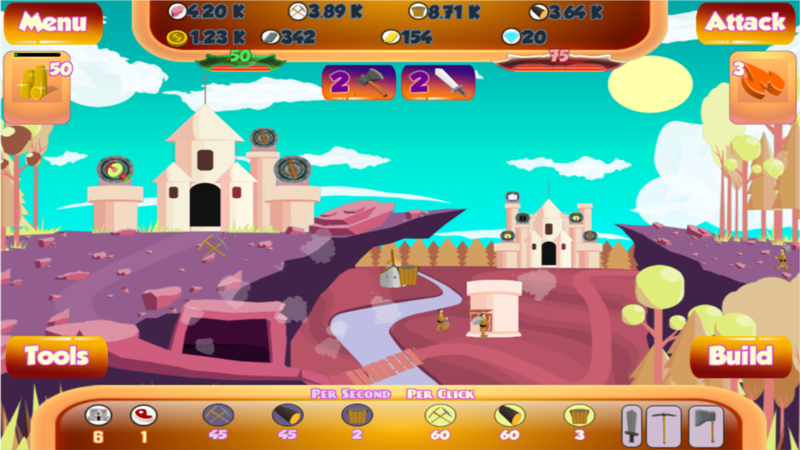 Each level of castle, earns you gold coins. Use those coins, to build and upgrade your turrets. Or use those coins, to send out minions(attack). Double tap : gather twice as much resources with each tap ( limited time ). Turret Charge : all towers attack faster and minions move faster. Perfect for a quick attack. Can you get all of them?There are a number of achievements in this game.It might take some time,to get all of them,but it's mostly about the journey. Let everyone know, how skillful and experienced you are.Compete with your friends and other people and see who is the best. Somebody is flying by every once and a while. Tap that thing and you won't regret it. 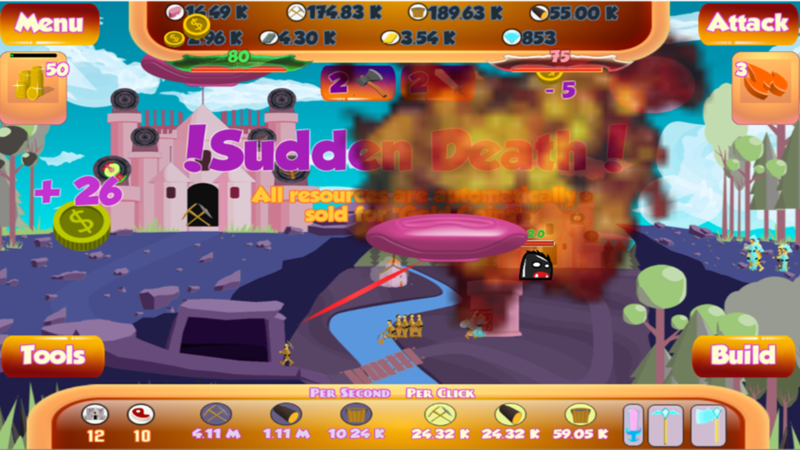 "I like clicker and idle games a lot. Tower defense sounds awesome too. So I made my own version of such genres"
Please leave a review and like us on facebook. If you have any issues or want to share an idea, feel free to contact me by email.